The beautiful Irrawaddy Dolphin is severely threatened and is now functionally extinct in Laos. The Irrawaddy dolphin is a euryhaline species of oceanic dolphins, i.e. they can tolerate a wide range of water salinity. Though very similar to the beluga whale in appearance, Irrawaddy dolphins are most closely related to the killer whale (orca). They are characterized by a large melon, no distinct beak, and a blunt, rounded head. Their bodies are light gray allover and slightly lighter underneath, although some individuals range from gray to dark slate blue. Also, it has long broad flippers and short, blunt, and triangular dorsal fins. This entry was posted in Species Profile and tagged common bottlenose dolphin, dolphin species profile, Irrawaddy dolphin, killer whale, orca, snubfin dolphins on August 31, 2017 by Roselyn Onuche. If you still need convincing that captivity is deadly to dolphins and other cetaceans, here’s the evidence from so many orca deaths in captivity. Animals dying is a natural process: we all know that. But have you ever wondered about the many orca (killer whale) deaths in captivity? Why is it that none of them died of old age? 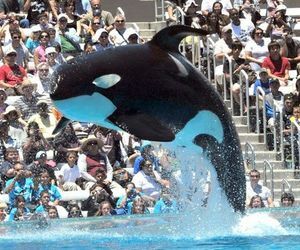 So far, at least 167 orca whales have died in captivity. And, they died long before their kind usually do in the wild. In the wild, these creatures can live up to 60/70 years for males and 80/100 for females. In captivity, you’re looking at averagely 10/15 years. This entry was posted in Dolphin Information and tagged dolphin deaths, dolphins in captivity, killer whales that have died in captivity, orca deaths in captivity, orca whales on August 24, 2017 by Roselyn Onuche. Dolphins are very inventive when it comes to hunting for food as confirmed by pods of killer whales stealing fish from Alaskan fishermen. In what looks like something from a comedy: pods of killer whales (orcas) are trailing the boats of Alaskan fishermen and stealing their catch. These highly intelligent and skilled predators are outwitting the fishermen at every turn in the Bering Sea. The Bering Sea is a strip of water near the edge of the continental shelf between Alaska and Russia. Also, it’s home to almost 1,500 killer whales and a variety of tasty prey that attract humans and orcas. 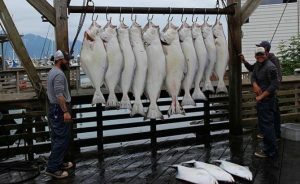 Especially the halibut, and black cod fish species. This entry was posted in Dolphin Information and tagged Alaskan Fishermen, dolphins, killer whale, killer whales stealing fish, orca, orca whale on August 19, 2017 by Roselyn Onuche. Dolphins hunt for food unlike any other sea mammal. After all, what’s the use of all that intelligence if they can’t use it? Bottlenose Dolphins Have Developed Several Clever Hunting Techniques. 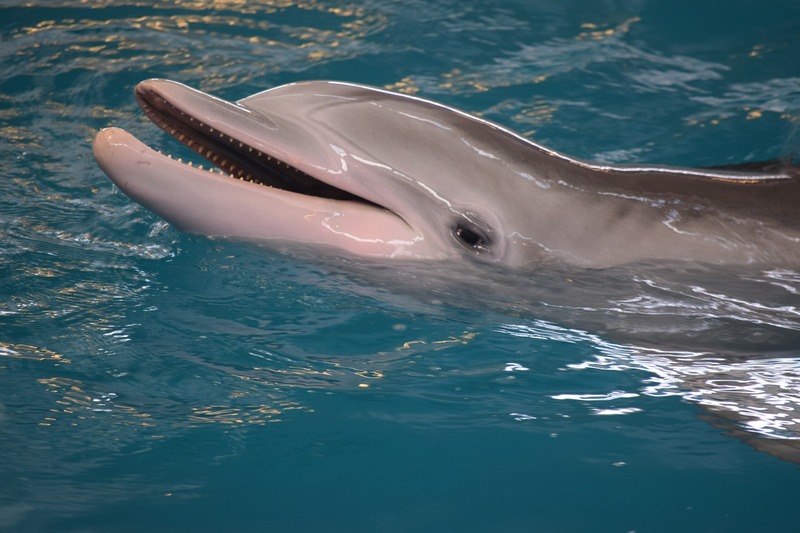 Echolocating is the usual way dolphins detect prey in the water around them. But after detecting them, how do they actually get the fish from the water to their mouths? Certainly, the prey aren’t just hanging around waiting to get caught. Using their superior brain power, some pods in selected areas have developed different hunting methods that are unique to that group. Interestingly, researchers have seen that dolphins are coming up with new hunting techniques previously not known. This entry was posted in Dolphin Information and tagged conching, dolphin beaching, dolphin fish mud nets, dolphin sponging prey, dolphins corralling prey, dolphins hunt for food on August 15, 2017 by Roselyn Onuche. Keep your favorite dolphin with you all day with these awesome Dolphin Tattoos. 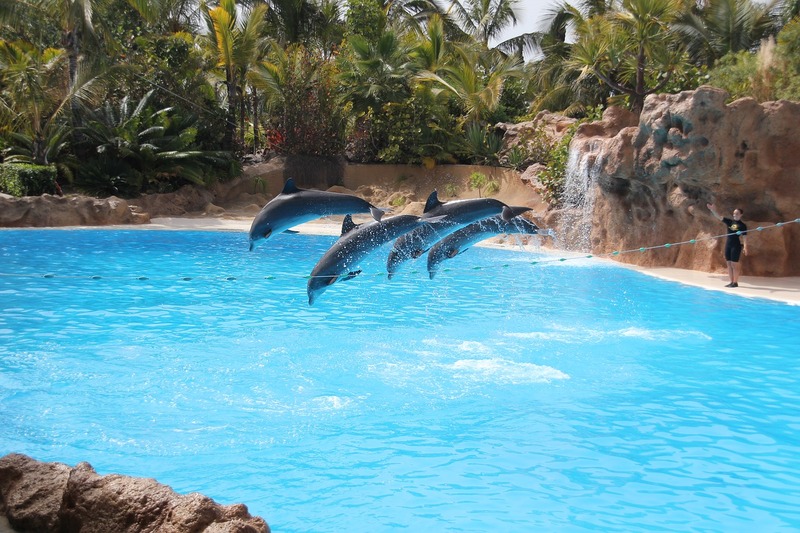 As a marine lover, you are likely besotted with dolphins too. Those highly intelligent, friendly, and playful mammals always bring a smile to everyone’s face. If you want to see this amazing sea animal everyday, you don’t have to journey all the way to the ocean. Why not get a cool dolphin tattoo instead? It may be bold and fierce, or minimalist and cute. We’ve got different species: from the sweet and playful bottlenose dolphin to the magnificent and fierce orca (killer whale). 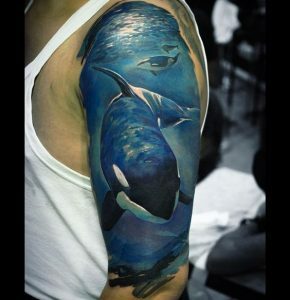 This entry was posted in Dolphin Information and tagged dolphin body art, dolphin tattoos, killer whale tattoo, orca whale tattoo, tattoos for men, tattoos for women on August 11, 2017 by Roselyn Onuche.